A blue trolley will be available at each Guild meeting to place your donated items into. These will then be taken to the Geelong Food Relief Centre for distribution. They are about to open another mini mart in Geelong and are seeking volunteers to help out. If you wish to help in any way please contact the Centre. 8 Freedman Street, North Geelong. 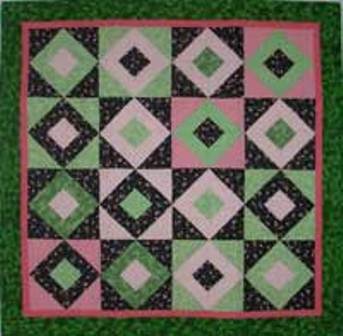 Click on a link below to take you to the pattern, size requirements or information. 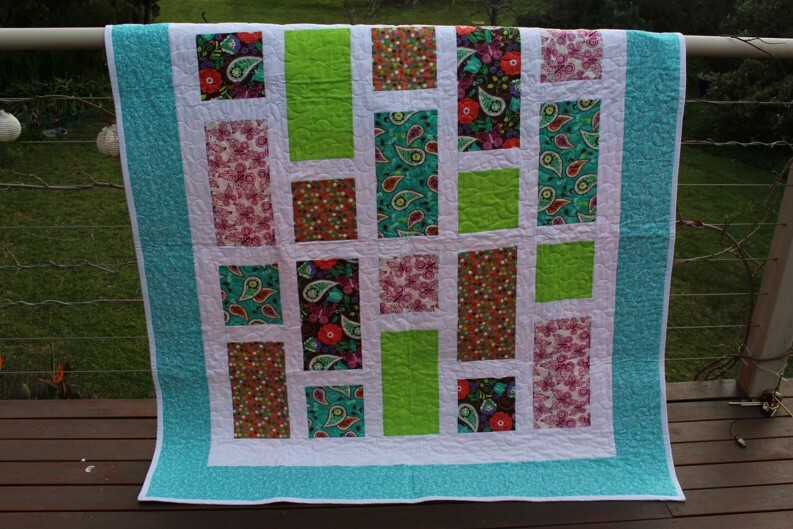 Very Snuggly Quilts - what size? ICU @ RCH - what size? Note: Special requirements! 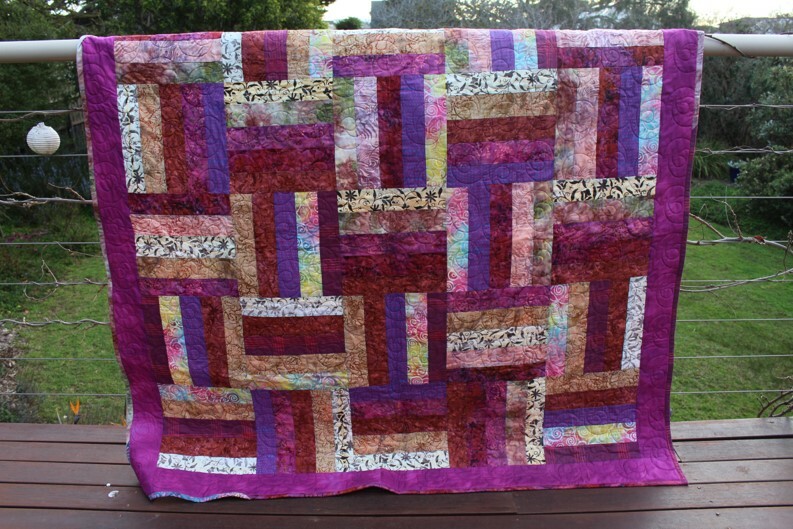 Quilts of Love - suitable size and style? This is quite a big file and may take time to download - be patient! Making quilts for people undergoing treatment at St John of God Hospital Geelong. Pillowcases for Buddy Bags- these are given to children who are taken into emergency care. Bright, colours and prints for boys and girls of all ages. Marsupial Pouches for Wildlife Rescue - What size? (Note: The tutor says to cut a 4¼” strip to join on to the pair of joined 2½” strips, but I use a 4½” strip. 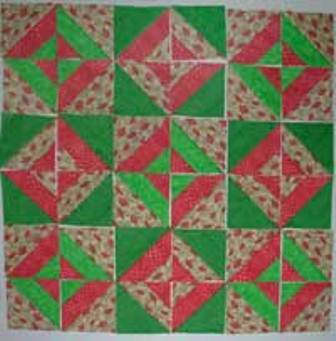 Judy's hand-written notes give quantities of fabric, how many tubes to make and pressing plans for a 9-block / 36-square quilt pictured left.